Infusing utility with style, Keyport is the everyday multi-tool for the modern lifestyle that replaces the bulky keychain and the streamlines your most essential everyday carry items into one indispensable hi-tech key fob. Not just a stylish key holder or minimalist key organizer, the Keyport Slide is the multi-tool that you will actually use every day, multiple times a day. 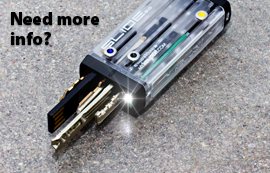 It holds up to six keys and/or EDC tools (USB flash drive, mini-light, pen, bottle opener, and more) in a high-tech chassis about the size of a box of Tic Tacs. 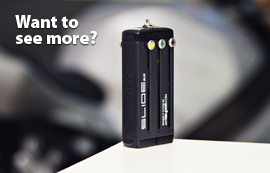 Unlike most multi-tools and Swiss Army style key organizers, the Keyport provides one-handed access to any of the items with just the slide of a thumb. 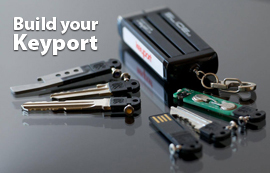 Keyport products are proudly designed, manufactured, and assembled in the USA. Keys are still important but key chains are a thing of the past. 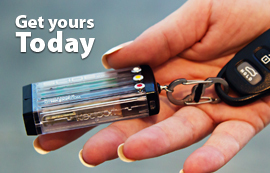 Founded in 2005, Keyport, Inc. is dedicated to creating a more compact, convenient, and stylish alternative to the traditional keychain.